Bones in Motion - FACT Magazine: Music News, New Music. It might be difficult to discern a unifying aesthetic to the output of Leaving Records, but you can’t fault the LA label for their timeliness. Who else, after all, had the nous to put out Julia Holter’s much-loved debut, Tragedy, or to champion the early work of oblique beatsmiths Ssaliva and Dem Hunger? It’s fitting, then, that the imprint’s first release of 2013 reflects the recent surge of excitement around scuzzy DIY techno. Which isn’t to say that Derry producer The Cyclist is a bandwagon jumper, a johnny-come-lately figure aping the trend du jour. 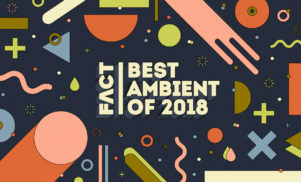 In fact he seems to be quite the opposite: a young, isolated producer who came to his sound on his own terms – even going so far as to give it a name and a manifesto of sorts. In his own words, “Tape Throb” is The Cyclist’s “attempt to get to a time in electronic music where everything sounds warmer,” drawing inspiration from New Order, Throbbing Gristle’s dancier excursions and Geogaddi by Boards of Canada. 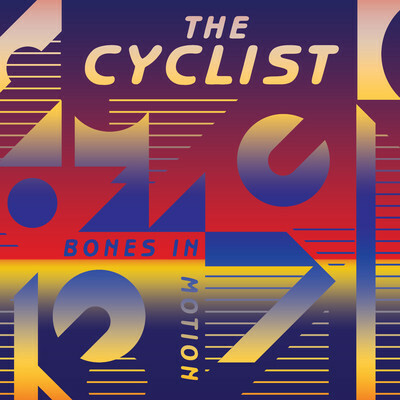 Going on the strength of Bones In Motion – or its 2011 predecessor, the Bending Brass cassette for Crash Symbols – our man’s description is pretty on-point. His schtick is, essentially, gauzy melodic techno, a ramshackle re-imagining of 90s IDM or the Border Community sound, perhaps, except the whole thing is doused, drenched, submerged in tape distortion – distortion so extreme that familiar sounds take on a new, uncanny character, like streetlights flaring through a wet windscreen. It’s an effect that renders even simple arrangements partially indecipherable – as if they hover teasingly out of focus – and lends these tracks a certain cryptic quality. For all that, this isn’t particularly confrontational or challenging music. Actually it’s rather welcoming – jubilant, even, in the case of the title track, or ‘Fleet Meeting’, with its sampled carnivalesque chanting. The Cyclist certainly steers clear of the punkish primitivism of, say, Opal Tapes releases, preferring instead to stick with fairly conventional four-bar structuring, familiar tension-and-release dynamics, neatly circumscribed melodies. Still, within this framework we cover an impressive amount of ground, taking in frenetic machine funk (the overlapping one-two of ‘Sheen’ and ‘Makeshift’), beatless moments (chorale-like interlude ‘Another Exploitation’, or soporific closer ‘Sleep’), and plenty in between. For the most part The Cyclist allows himself to be led by his sunny, if skewed, melodics, but there are darker moments too – notably ‘Black Train’’s scorched, queasy chug, and the tense warehouse stylings of ‘Dusty’. Even better are the scant moments where the melodies take a back seat altogether, allowing those faintly unwholesome beats to breathe; as in ‘The March’, whose bursts of pitch-black soundscaping and provocatively lazy beat are reminiscent of Powell; or ‘Visions’, sporting abrasive gong-like percussion and a bassline of which Kassem Mosse would be proud. Granted, with an hour run-time encompassing 15 tracks, Bones In Motion can be something of an endurance test. A handful of tracks could benefit from a trim, and by the penultimate track, motorik 8-minute epic ‘Reels’, your patience may be on the wane. It’s possible that you may miss some of this album’s gems the first time around. But be assured that they are there, in abundance.